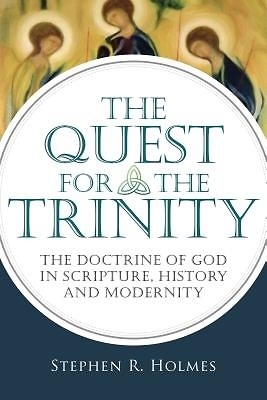 The doctrine of the Trinity was settled in the fourth century, and maintained, with only very minor disagreement or development, by all strands of the church--Western and Eastern, Protestant and Catholic--until the modern period. In the twentieth century, there arose a sense that the doctrine had been neglected and stood in need of recovery. In The Quest for the Trinity, Holmes takes us on a remarkable journey through 2,000 years of the Christian doctrine of God. We witness the church's discovery of the Trinity from the biblical testimony, its crucial patristic developments, and medieval and Reformation continuity. We are also confronted with the questioning of traditional dogma during the Enlightenment, and asked to consider anew the character of the modern Trinitarian revival. Holmes's controversial conclusion is that the explosion of theological work in recent decades claiming to recapture the heart of Christian theology in fact deeply misunderstands and misappropriates the traditional doctrine of the Trinity. Yet his aim is constructive: to grasp the wisdom of the past and, ultimately, to bring a clearer understanding of the meaning of the present.